You may leave your country and you may quit doing the same type of work, but that Peace Corps “itch” stays with you forever. 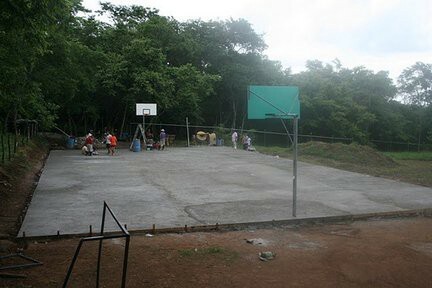 During my Peace Corps service in Costa Rica (2009–11), my main projects were to build a multi-use sport court at the high school in partnership with Courts for Kids and teach junior achievement business, English and math classes to teenagers. I also wrote a grant to get a new computer lab built at the high school and a 20 computer donation to furnish the lab, taught life skills, hosted athletic camps, and attempted to start a credit union. My unofficial projects included playing soccer with the high schoolers and fishing in the Gulf of Nicoya with the local fishermen. 1) I come from a family of service. My dad was a tunnel rat in Vietnam, his dad was one of the first parachuters in World War II and my mom’s dad was a lifelong Marines Corps officer. 2) Optimism. A focused, dedicated optimism that hard work can lead to change in the world, even if it’s a small village in the armpit of a country. Today I am a marketing strategist for an agency that exclusively works on public health campaigns (anti-tobacco, sugary beverage consumption, etc. ), but my career path upon returning to the U.S. has been anything but linear. I’ve been a state grant coordinator, a teacher, a co-founder, a failed co-founder, a writer, a business student, a co-founder (again), a failed co-founder (also again) and a marketing guru. Recently I’ve become a podcast host, telling stories on The Optimist Podcast, and I think a big reason why I’ve been so many things is because my Peace Corps service never really left me. Even though I’m at a point in my life where making the jump back into 27 months of service would be tough — engaged, student loans and a dog — I’ve found a way to scratch that “itch” by telling the stories of existing Peace Corps volunteers. The advice I always give to Volunteers about service is to remember to zoom out. It’s easy to get caught in the day-to-day in your community and forget the big picture about the great work you’re doing or the quirky cultural differences that just become part of who you are. It’s why I’m always curious to learn every Volunteer’s “Welcome to Peace Corps” moment — because every Volunteer has one and almost all of them are wonderfully weird. This past Memorial Day marked the five-year anniversary of Tico 19 returning to the U.S. and our youth development group celebrated with a reunion in middle-of-nowhere Colorado, as only Peace Corps Volunteers can. My service set the foundation for the rest of my life, even if it hasn’t always been smooth. It pushed me to see things on a global scale and gave me the skills to pursue any career path and know that I’d just be able to figure it out. My Peace Corps “itch” will probably never go away and I’ve decided that’s just fine because to me that’s the one thing I hope every volunteer brings home. That’s what keeps most of us in government jobs, or the nonprofit space, or the global development arena, and now more than ever we need as many talented returned Volunteers in those roles as we can get it.